KANSAS CITY, Kan. — Post-qualifying inspection at Kansas Speedway on Friday night yielded a violation in the No. 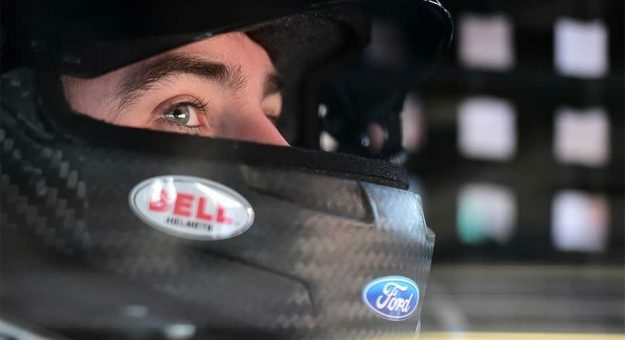 21 Omnicraft Auto Parts Ford driven by Ryan Blaney, and the Monster Energy NASCAR Cup Series playoff driver will have to start Sunday’s Hollywood Casino 400 from the rear of the field (3 p.m. ET, NBCSN, MRN, SiriusXM NASCAR Radio). Blaney had qualified the car third overall — which would have been his best start since winning the pole here at Kansas in May. As a result, his team will make the last pit stall selection for Kansas, and also for next weekend’s race at Martinsville Speedway. Monster Energy Series teams will qualify for Martinsville hours prior to the race, so pit stall selections for that event are determined by qualifying order at Kansas. Blaney enters the Round of 12 cutoff race ranked seventh in the standings, nine points above the cutoff line. The top eight drivers following Sunday’s race will advance to the Round of 8.